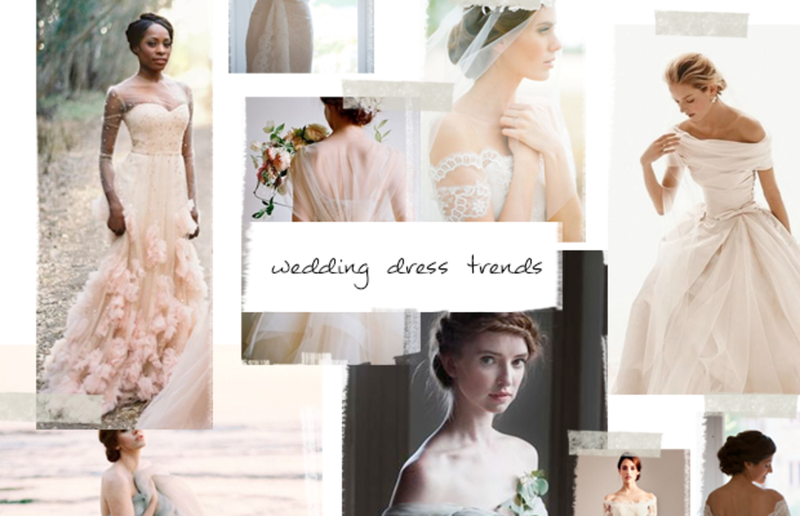 Whether you&apos;re in the midst of whirlwind wedding planning or simply pinning dresses on Pinterest "just in case," you&apos;re sure to fall in love with this fresh crop of bridal gown trends. 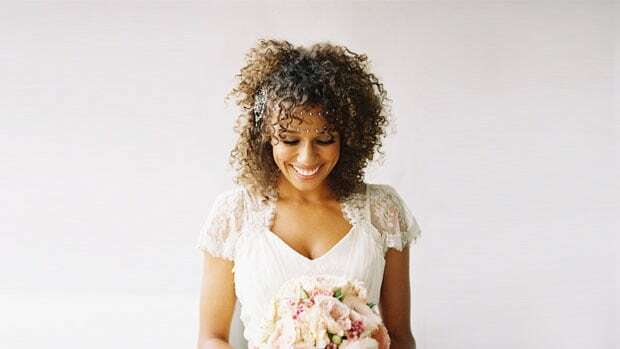 Of course, the perfect wedding dress is a bit of a myth, and you should always pick the gown that best fits your personality and shape. But, these ethereal, romantic frocks are certainly a pretty start to help spark your imagination and point you in the right direction. 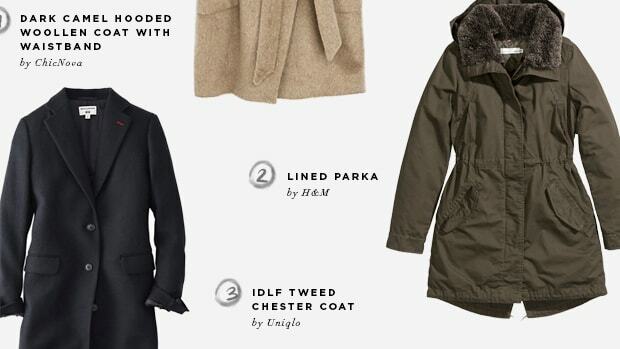 This year&apos;s so-called trends are actually quite feminine and timeless. 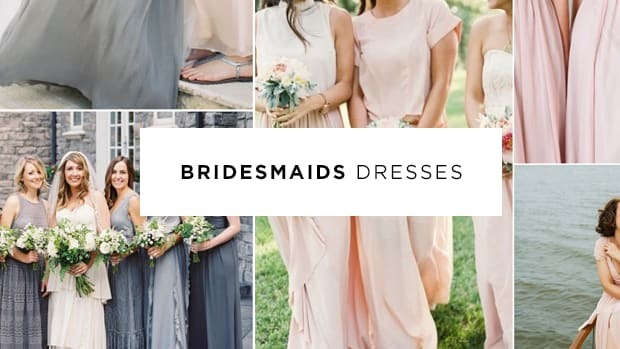 Full, frothy tulle skits and light overlays in soft peaches, pinks, grays, and blues for the dreamy and dramatic bride, off-the-shoulder styles for the romantic bride, high-neck collars for the modern and eclectic, and stunning delicate capes and caplets for the demure, vintage-inspired bride. Take your pick below. This is not your early 90s bridal Barbie doll dress. Tulle has been revived in softer silhouettes and lighter layers, and even a single, light wispy layer over the entire skirt of the dress. Or, on the other extreme, the tulle may be tightly gathered into gorgeous patterns and swirls with floral inlays. A burst of colors done ever-s0 subtly in peaches, pinks, blues, and grays gives an ombre effect. The overall shape is contained and looks best when balanced with a form-fitting top. The fabric works wonderfully for pear shapes or very straight shapes, as tulle will add curve and volume in the right places. 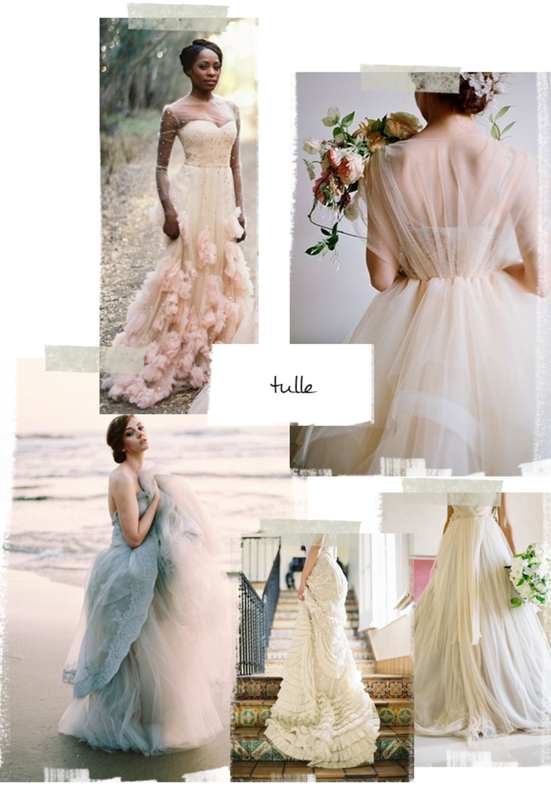 For the super petite, tulle may overwhelm if it&apos;s too pouffy. 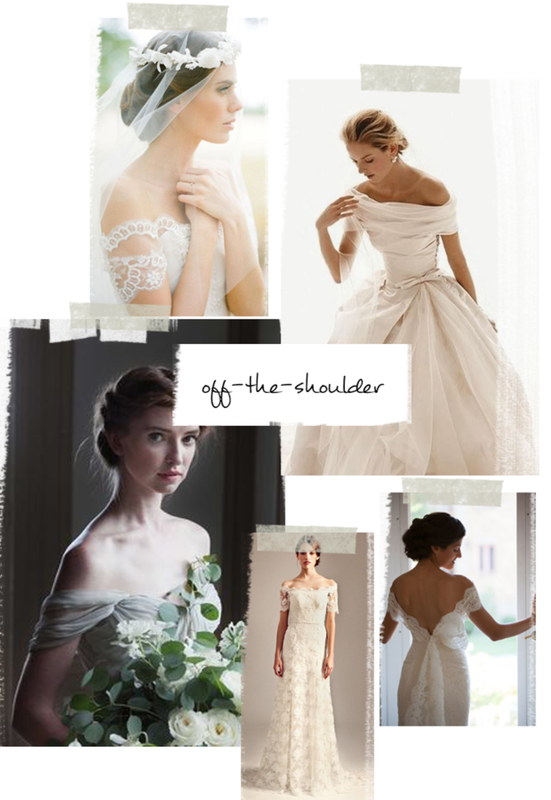 Universally flattering, off-the-shoulder necklines elongate every woman&apos;s neck and frame the face beautifully. 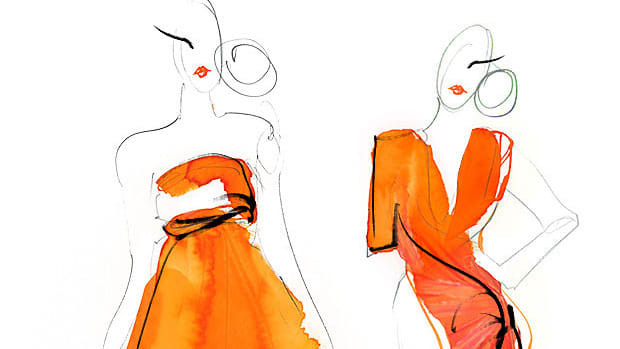 Usually, they&apos;re structured in soft and simple silhouettes with a slightly flared tulip skirt (best for hourglass and straight shapes), or in a traditional, A-line ball gown form (great for pear and apples). The new look includes swathes of silk that look right out of the neoclassical era. 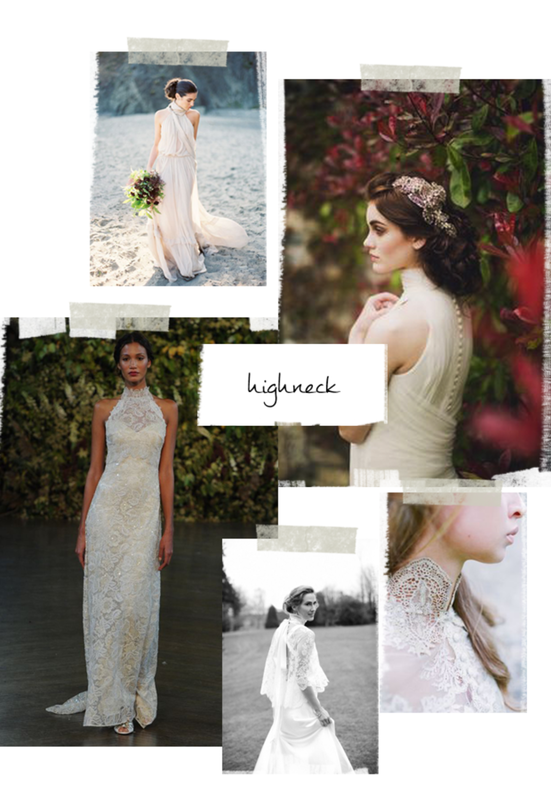 Touches of rich textures like lace and satin will provide a regal air and balance the exposed shoulders. As flattering as off-the-shoulder, gorgeous light and delicate capes can go with anything. 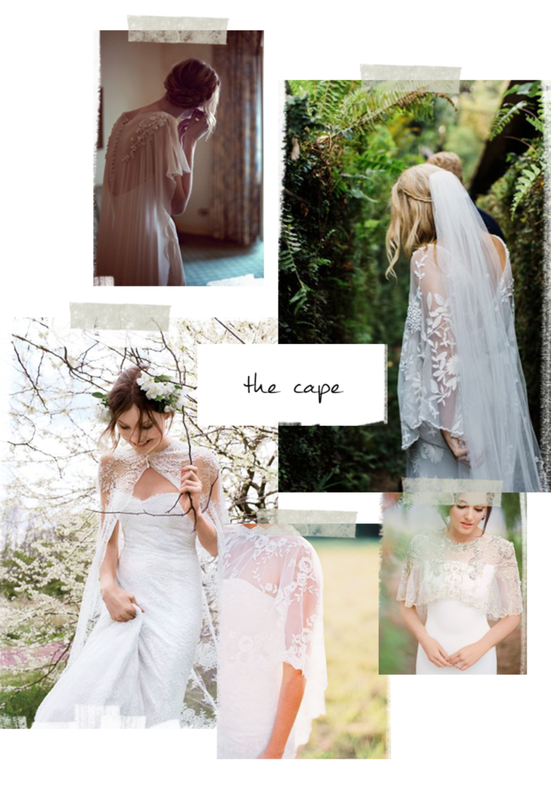 Whether you&apos;re a free-spirited eclectic and rustic bride or demure and traditional bride who wishes to lightly cover her shoulder for the ceremony, a pretty embroidered cape or shorter caplet—best for those who are more petite in stature—is simply stunning. Do make sure the dress is simple and sleek underneath, or at least the top part, so as not to have too much going on around your neckline. High-neck collars are definitely experiencing a comeback. Silk versions are super soft and more casual, whereas lace collars look a bit more classic e a-la Grace Kelly. High-neck collars are simultaneously modern and retro, and work best when the rest of the dress is relatively simple and sleek. 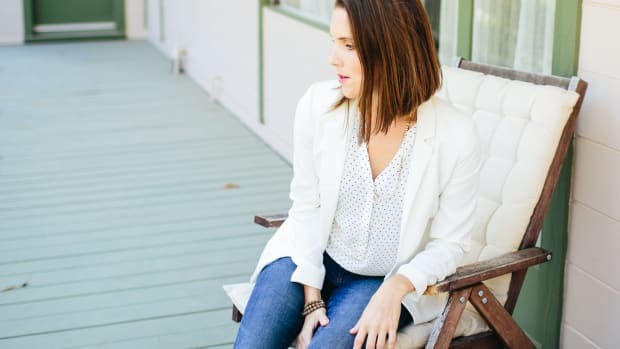 The trend works well for those who have a longer frame and have a smaller chest, as having a lot of fabric and no neckline can cut off your proportions and tug uncomfortably.